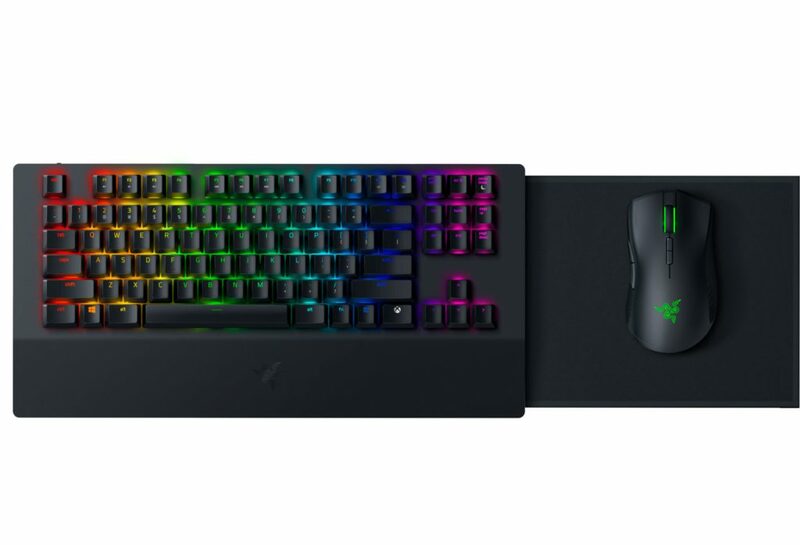 Built for reliable gaming on the couch, the Razer Turret for Xbox One offers a fast and stable 2.4 GHz wireless connection via a single dongle for the mouse and keyboard, and battery life of up to 40 hours on a single charge. 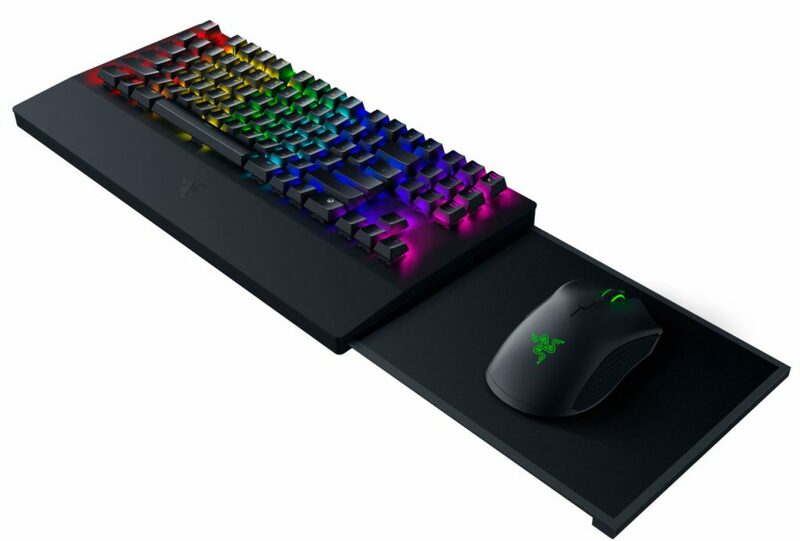 With Xbox Dynamic Lighting and Razer Chroma technology, console gamers now have access to the largest ecosystem of lighting, with up to 16.8-million color options and lighting effects for their keyboard and mouse. Additionally, Razer has been working with developers to bring Xbox Dynamic Lighting and Razer Chroma support in-game, offering immersive experiences on supported titles such as “X-Morph-Defense”, “Vermintide 2” and more. 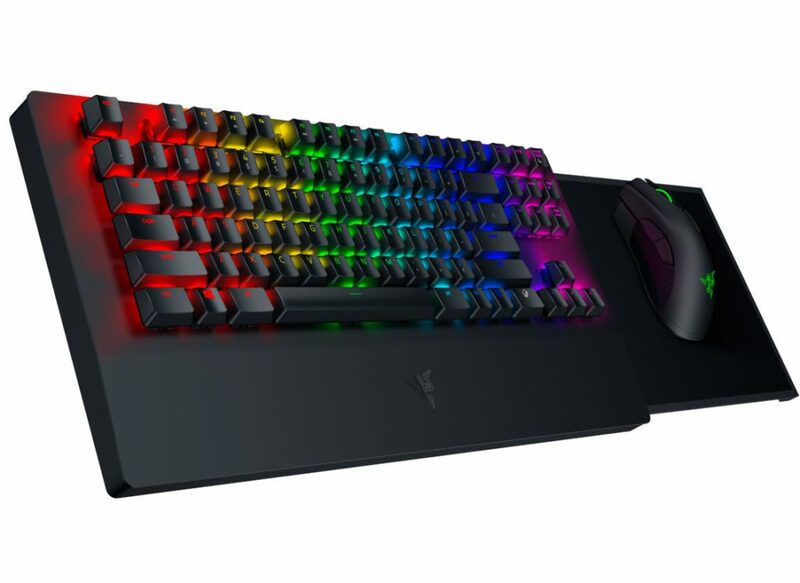 “Razer Chroma expands even further into the living room,” says Tan, “building upon the success we’ve had with Philips Hue in room lighting.” The keyboard features Razer’s gaming grade mechanical switches engineered for durability and reliability with a lifespan of up to 80-million keystrokes. A dedicated Xbox key also instantly pulls up the Xbox One dashboard for seamless navigation. The included mouse is modelled after the popular Razer Mamba Wireless gaming mouse and features a high-performance 5G advanced optical sensor and Razer Mechanical Mouse Switches with up to 50-million clicks durability. The mouse surface is conveniently hidden underneath the main body of the keyboard and can be extended for use, then retracted for charging and storage. 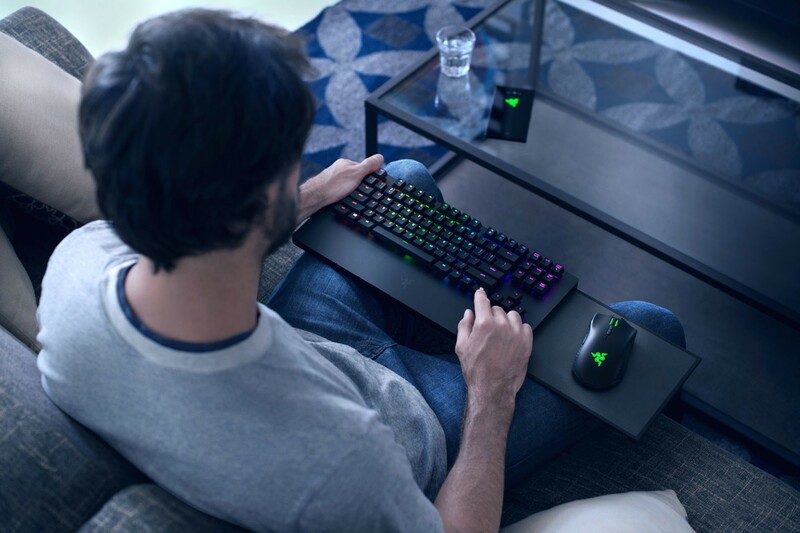 A built-in ergonomic wrist rest extends from the base of the Razer Turret keyboard for Xbox One for added comfort. 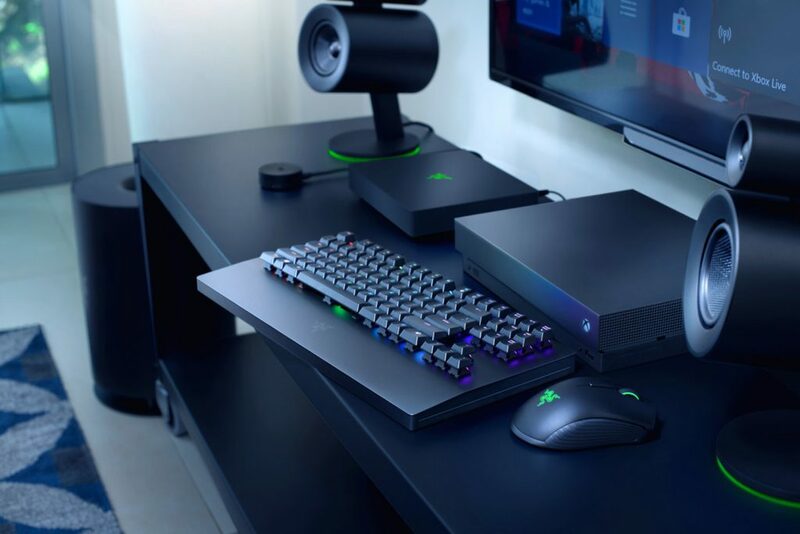 The Razer Turret for Xbox One is also fully compatible with PC (Windows 10), enabling gamers to take their game from the PC to console and back. Approximate weight: 1860 g / 4.10 lbs. Cable length: 2 m / 6.56 ft.
MSRP: USD $249.99, availability: Q1-2019.